a) Install Java JDK 6 or JDK7 depending on your need. b) Get the following portable programs and pin them to Start Menu. 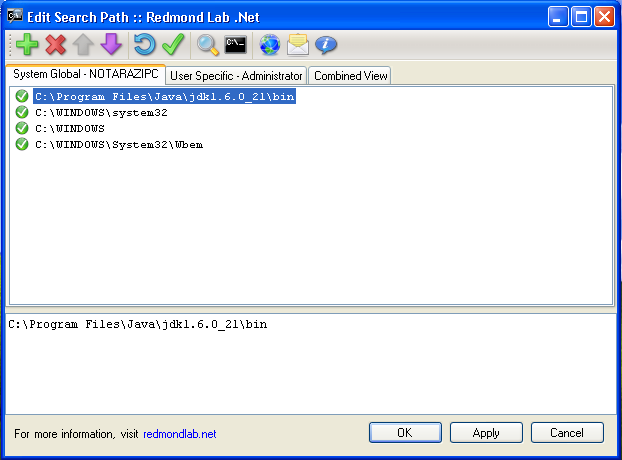 2) Using Redmond Path, add the path to Java bin folder. b) Browse for Java bin folder. Select the folder. c) Move the path item to the top of the list as shown below. a) Click Command Prompt button.